If BOX A on the face of the Violation Notice is checked, the party MUST appear in court on the date, time, and location shown. If no date is indicated on the Violation Notice, the CVB will mail a Notice to Appear indicating the date and time the party must appear in court. If the Violation Notice does not indicate a date to appear in court and the party does not receive a Notice to Appear within 45 days of the issuance of the Violation Notice, contact the CVB at (800) 827-2982. A. PAY A FIXED SUM IN LIEU OF APPEARING IN COURT. If an individual wishes to avoid appearing in court, payment of the “total collateral due” amount shown on the Violation Notice must be made by personal check, money order or credit card. Use the enclosed envelope and include the stub from the Violation Notice with your payment. DO NOT SEND CASH. The violation number and location code, both of which can be found on the Violation Notice, must be written on the check or money order. Make the check or money order payable to the Central Violations Bureau. Alternatively, credit card payments may be made online at www.cvb.uscourts.gov. By paying the amount due, an individual is admitting to a criminal offense and a conviction may appear in a public record with adverse consequences. Individuals have a right to know more about the charge(s) and may obtain a complete statement of the charge(s) by contacting the CVB at (800) 827-2982. By paying the amount due, an individual waives his or her right to: a) contest the violation notice, b) a trial, and c) be represented by counsel. If an individual intends to pay the total collateral due instead of appearing in court, the payment must be received by the date of the scheduled court appearance. Online credit card payments may be made the same date as the scheduled court appearance, but if payment is not received until after that date, penalties may be imposed and an arrest warrant may be issued. B. APPEAR IN COURT. If a date, time, and location are shown on the front of the Violation Notice, the individual must appear in court as directed. 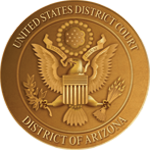 If no date is shown on the Violation Notice, the CVB will mail a Notice to Appear indicating the date, time and location of the court appearance. If the Violation Notice does not indicate a date to appear and a Notice to Appear is not received within 45 days of the date the Violation Notice was issued, contact the CVB at (800) 827-2982. If an individual appears before the court and pleads guilty or is convicted after a trial, the court may impose any penalty the law authorizes, not limited to the “total collateral due” amount shown on the Violation Notice. In addition, the court may add a special assessment of $5, $10, or $25 for each offense. Individuals must notify the CVB in writing of any change of address that occurs after the Violation Notice is issued. Failure to do so may result in not receiving the Notice to Appear. If an individual fails to appear at a scheduled court hearing, the court may issue an arrest warrant.